G-CAS! Sew Excited! 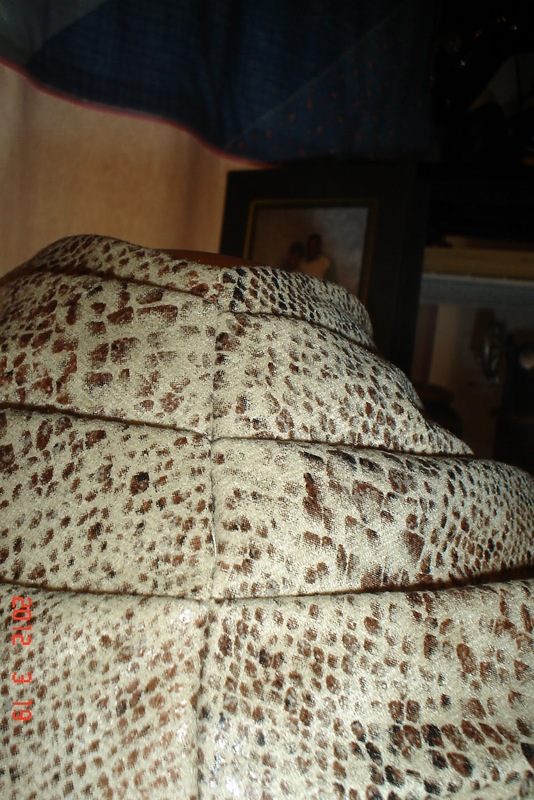 : Snake! Sssssssssss! After blogging all day! Whew! I'm tired! She really sets it off and pumps out the outfits faster then you can check for a new post on her blog! (I LUV her blog! True Diva she is!) Wonderful inspiration!! I get creative every once and awhile so I didn't want to "copy" Erica's dress only she can rock her style! (ya feel me?) Well, about a month ago my friend Grace made the dress "straight black" it looked great and she really liked the fit. We have similar builds so I thought I'd give it a try. She gave me her pattern so, I can't beat free right?! 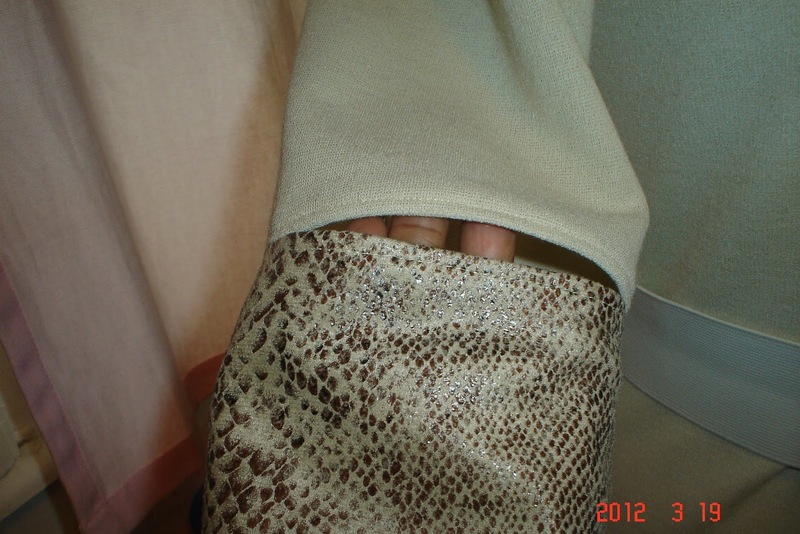 Sleeve detail is cool. Hit right at the elbow! This is the back of the cowl. My fabric has no drape and pleats allowed it to drape nicely. 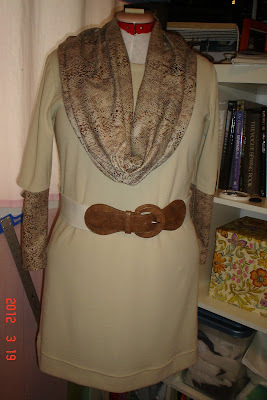 ﻿This dress was easy to make and would be a good project for a beginner. 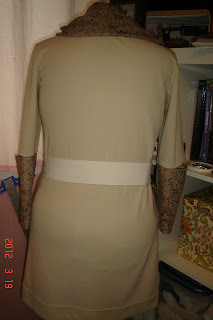 I think I may use this pattern again for a color block dress. Can't seem to think of colors to use. Hmmmmmm? I serged the whole dress expect on the hem. 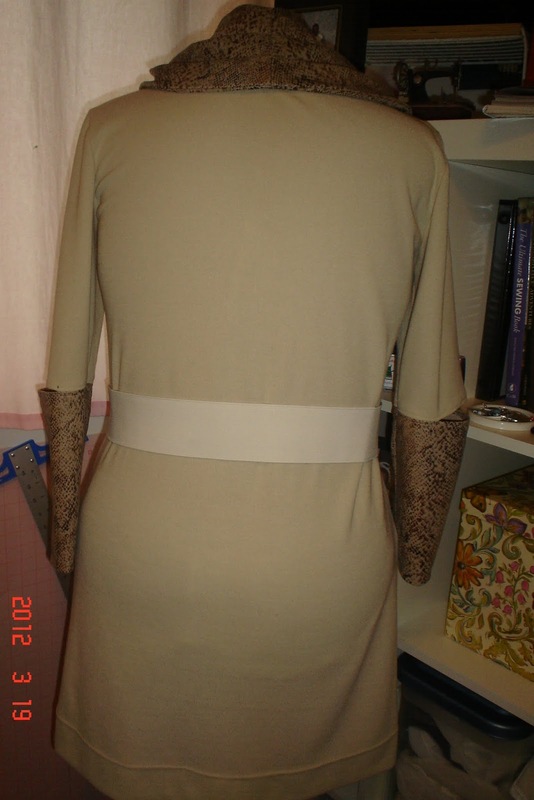 I used a twin needle for the hem and neck after serging the neckband on. The fit on this dress is impeccable. Unfortunately, I don't have any pictures of me in it. (LOL! Yea, I know-bad blogger!) And, the shoes or should I say boots I wore! 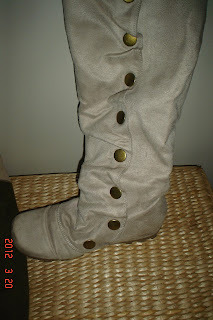 I wore these boots with cream tights. I know this is a "fall/winter" outfit but I'm glad I got this post in before the "winter" was over! LOL!!!!!! It's still cold in Chicago! Nice! I L*VE the colors!